Until the middle of the 19th century the parish of St Mary Magdalene (c12th century) in Chart Lane and then in the Winchester diocese, covered the whole of the Reigate and Redhill areas. But with the rapid increase in population and house building, and the coming of the railway, the diocese sanctioned four new Anglican churches, each with its own parish: St Matthew, St Mark, St Luke, and St John, each named after the four Evangelists. 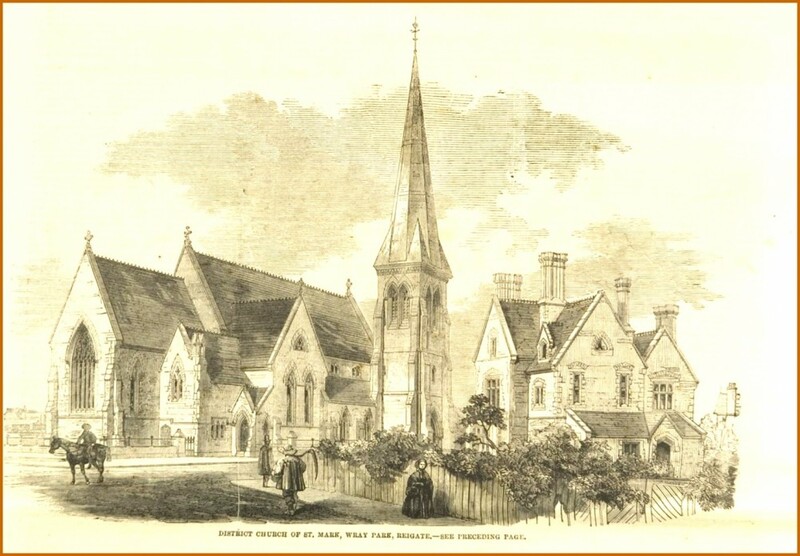 St Mark, near the then new Reigate railway station, was consecrated in 1860 to serve the new community of big, detached houses being built north of the railway. In 1877, Reigate was transferred to the diocese of Rochester, and in 1905 was incorporated in the newly created diocese of Southwark. Thus St Mark’s has been in three different dioceses during its 156-year history. The tower and spire were added to the church in 1863, but the spire was demolished in 1919 as it had become unsafe, having been built of very inferior Reigate stone. 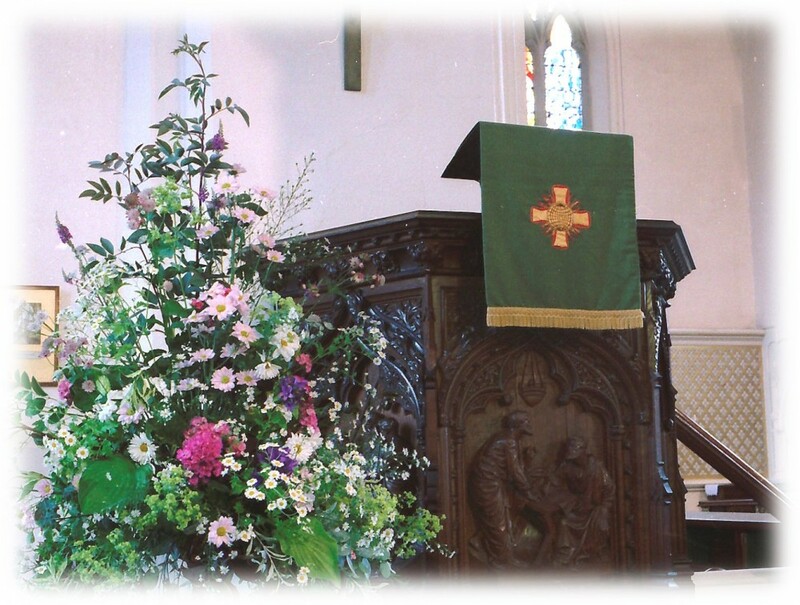 In 1895, the Chancel and Sanctuary were remodelled, the floor raised, a new altar, reredos of alabaster, altar rails, seats for clergy and choir and a new pulpit were installed. These all remain in place today. In 1899 a new organ was built by Henry ‘Father’ Willis, the foremost organ builder of the day. With some additions, alterations, and modernisations, this organ has given nearly 120 years of excellent service. 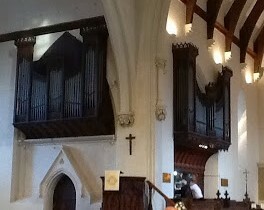 To accommodate this organ, a new doorway was created from the Vestry into the North Transept to allow the organ console to block off the existing doorway behind the choir stalls into the Chancel. To celebrate the 50th anniversary of the consecration of St Mark’s, a Great East Window was installed together with three mosaic panels on the West Wall, depicting scenes of the ministry of our Lord. 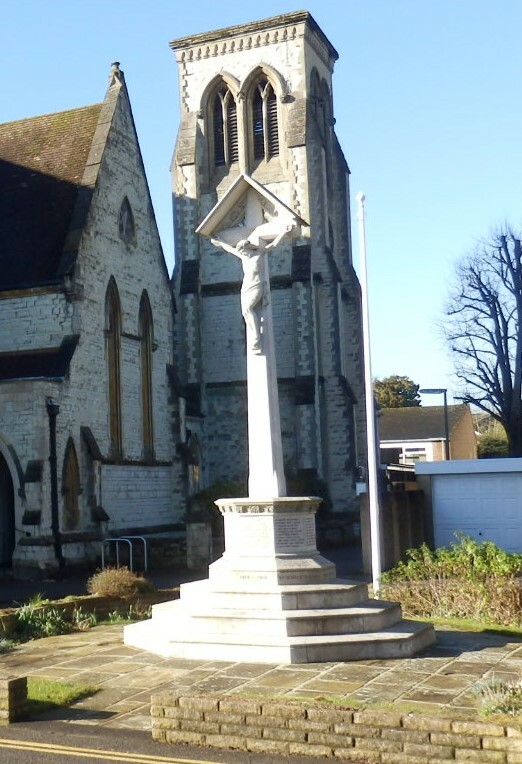 In 1917, an outside Calvary was built to honour those serving in the Great War. It is interesting that this was amongst the first memorials to be built in the country, a full year before the end of the war. This memorial has recently been designated as a Grade 2 Listed monument. In 1918 an inside Memorial Chapel was created in the South Transept, and the names of servicemen who lost their lives were inscribed on the reredos. During the Second World War, in 1940, the church suffered extensive bomb damage. The Great East Window was blasted, as were most of the other windows. The South Transept had to be demolished because of extensive damage. In 1950, a new wall running in line with the South wall was erected to repair the war-time damage, and a screen incorporating the memorial inscriptions was placed between the pillars creating a Lady Chapel. 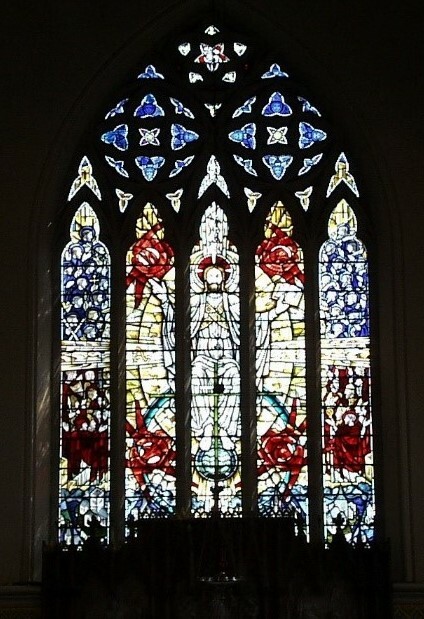 In 1955 a new East Window, designed by Francis Spear ARCA of Raglan Road was installed and dedicated. It was made in his Cousldon factory, and so is truly a local window. 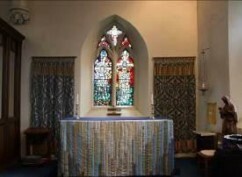 Other windows in the church were remade from the glass recovered, and after many draft designs being rejected, new windows were approved for the new Lady Chapel. In 1959, the house called “Elvindon” at 40 Reigate Hill and the land known as “The Shrubbery” was bought. The Reigate Hill end of the plot was resold, providing space for a hall and car park which was opened in 1965. This was financed by a mixture of donations, fund raising activities and a loan from the South London Church Fund (the diocesan fund). In 1978, much discussion took place whether to demolish or restore the church because of the cost of maintaining the Reigate stone. The decision was taken in 1979 to restore the church and this happened over the following years, supported by much fundraising. 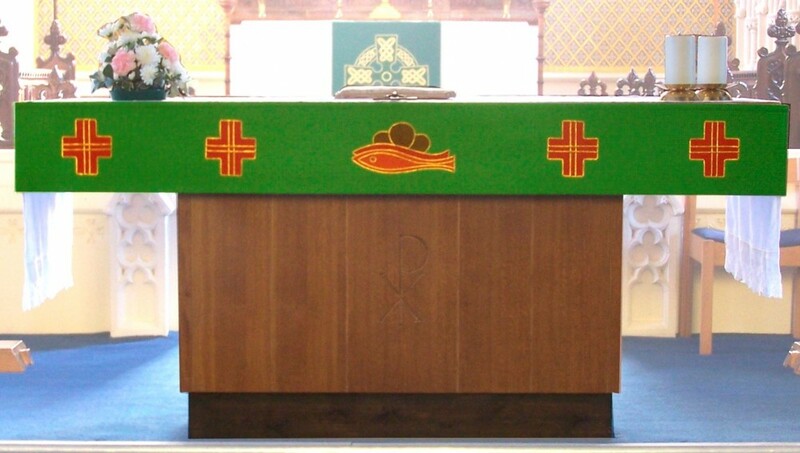 In 1983 a new Nave Altar was installed by removing the front pews and building a platform. In 2003 the repairs to the West End stonework were completed, and the lighting to the church upgraded. In 2006, a redesigned North-East entrance with a glass door greatly improved the access to the North Transept. The area was cleared and a new seating and welcome area designed. 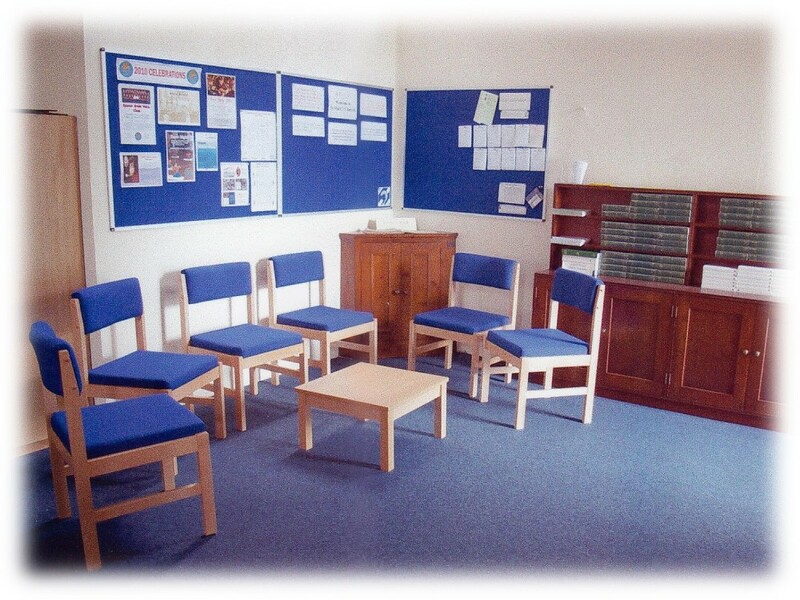 Other small improvements are constantly being made as the church building evolves and adapts. In 2014 the grand piano was replaced thanks to a generous bequest. 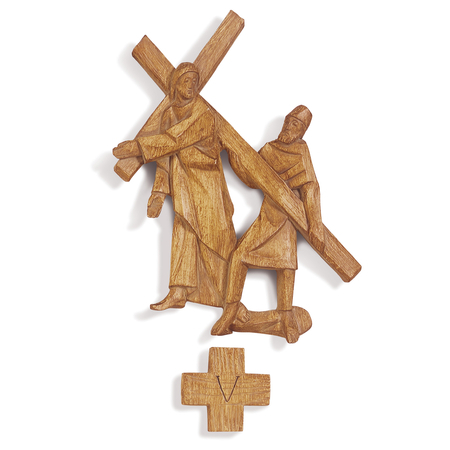 In 2009 Stations of the Cross were donated and installed around the church. These are used for devotional meditations especially during Lent and Holy Week. This is a factual history of St Mark’s the building. 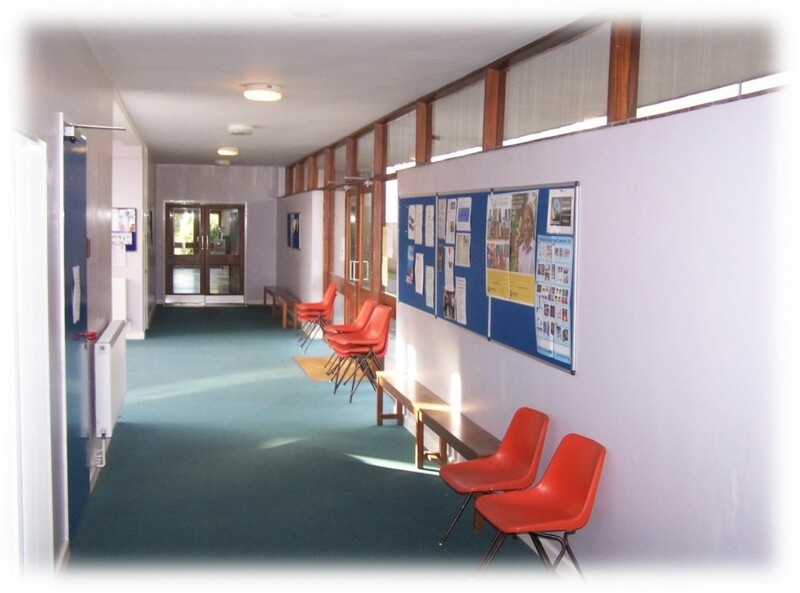 However, St Mark’s is the community that worships and enters the building week by week and day by day. Elsewhere on this website is described that more important aspect of St Mark’s Reigate.